*Saturday, October 28, at 8pm, 3-time Grammy Award winner Oscar Hernandez, will be celebrating the 15th Annual Anniversary of the renowned Spanish Harlem Orchestra, at Lehman Center for the Performing Arts, located at 250 Bedford Park Boulevard West in the Bronx where Oscar will be sharing the bill with Cuban bandleader Elito Reve with his band Charangon. 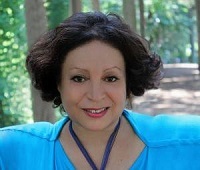 The show is produced by Lehman Center and Leo Tizol. “I grow up in a family of 11 children with none of them musically inclined. Someone gave me a piano and that was Divine intervention with God saying ‘…this is what you will be doing for the rest of your life.’ I started at 14 and by 17 years old, I was playing professionally, earning a living and traveling with bands as a pianist. Playing with so many popular musicians was an education one cannot even buy. In those days I was playing with some of the top notch bands. 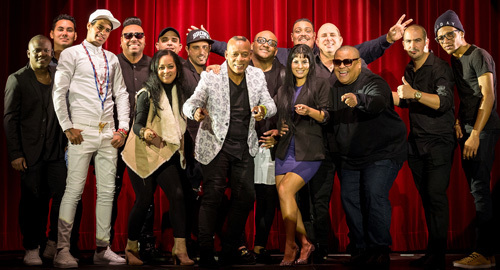 Oscar Hernandez and the Spanish Harlem Orchestra have traveled all over the world: Russia, Israel, Hong Kong, Southeast Asia and many other countries internationally, as well as in America and Latin America. “I grew up at a time in the 1960s and 70s with Fanna Records, a prolific recording company that promotede Spanish music. I came up when people like Tito Puento, Celia Cruz, Ray Baretto, Willie Colon, Ruben Blades, et al,were the royalty of Spanish music. I worked with all the Latin greats whether via recording, arranging, travel or music directing.” claimed Hernandez. “The Spanish Harlem Orchestra came about in the year 2000, we put arrangements and musicians together, went into the studio and recorded our first record project as the band with Warner Bros. Warner Bros ended up putting the recording on the shelf. However, in 2002, Ropeadope records put our record out and low and behold it was nominated for a Grammy. The second time through our recording Across 110th Street we won a Grammy. 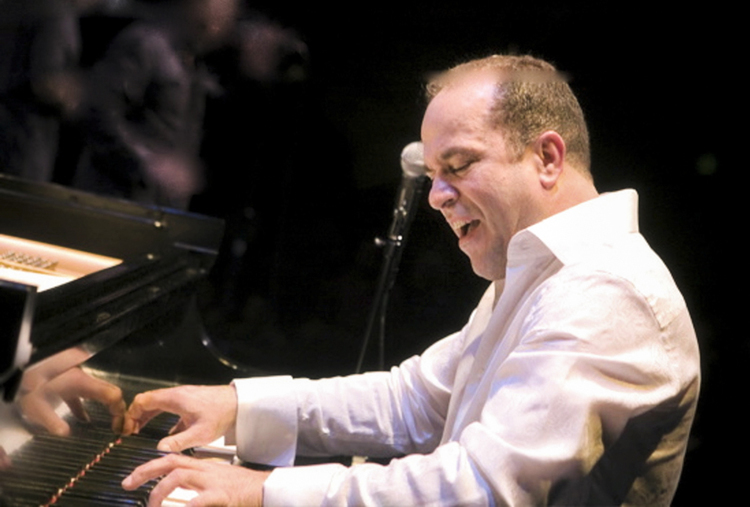 In addition to having worked with Rubén Blades as a pianist, arranger and musical director, Oscar Hernández has enjoyed a prolific musical career recording and performing with such world renown artists as Latin music artists Juan Luis Guerra, Earl Klugh, Dave Valentin, Johnny Pacheco, Ismael Miranda, Pete”Conde” Rodríquez, Oscar De’leon, Luis “Perico” Ortiz, “Libre’ “Grupo Folkorico Experimental, Willie Colón, Latin Pop Star Julio Iglesias, and Kirsty MacColl. Oscar’s musical exploits include working as Musical Director for the show “Four Guys named Jose & Una Mujer uctor, arranging and producing the music for “The Capeman,” pop-rock icon Paul Simon’s Broadway musical. In addition, Oscar was also the music producer of “The Capeman” cast recording. He was Musical Director/Arranger for the hit shows “Quien Mato A Hector Lavoe” and “La Lupe” at the 47th Street Theatre. His recent CD “Oscar Hernandez: The Art of Latin Jazz” played with the Oscar Hernandez Quintet, came out 6 months ago with 10 original compositions. It can be found on his website and on Amazon. “This CD was an opportunity for me to put my stamp on Latin Music in my own special way.” claimed Oscar. 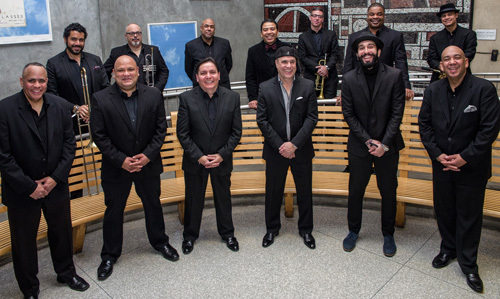 Spanish Harlem Orchestra is comprised of some of the top notch musicians within the Latin Music genre including vocalists Jeremy Bosch, Marco Bermudez, Carlos Cascante, George Delgado, congas; Luisito Quintero, Timbales; Jorge Gonzalez, percussion; Gerardo “Jerry” Madera, bass; Mitch Frohman, saxophone/flute; Reynaldo Jorge, trombone; Doug Beavers, trombone; Hector Colon, trumpet; and Manuel “Maneco” Ruiz. Trumpet.